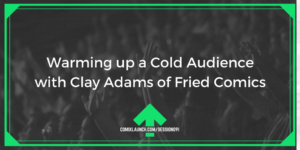 Hot on the heels of the C is for Cthulhu Team’s biggest launch ever, Tyler breaks down the three pieces of pre-launch content strategy the team crafted to energize current fans and attract more just like them, powering a $21,000.00+ launch day. Inside the $21K+ launch day for Sweet Dreams Cthulhu, including the secret to launching bigger. The three pieces of pre-launch content that lead to our best launch day ever. How to work backwards to break down a massive goal into an attainable plan. Plus: Better questions to ask when planning and executing your launch. 3 Pieces of Pre-Launch Content that We created as a part of our pre-launch. Does my currently level of commitment my goal match what’s actually required to make it happen? including a new free strategy guide, an all-new 5 day challenge, and we will also be opening the doors once again to the ComixLaunch Course Summer Session. And keep an eye on your inbox for good stuff coming from me. 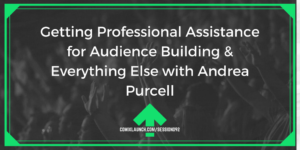 In this session, Tyler chats with Andrea Purcell, a professional assistant who helps busy comic creators focus on what they do best. Learn how to get some help making your creative dreams happen. What kind of professional assistance is available for busy comic creators? How getting assistance at conventions can mean the difference between lackluster and blockbuster sales. Social media tips for comic creators. Plus: Hot (and profitable) merchandise ideas. My guest today has been working in the comics industry since 2010, first as a retailer, and currently as a part of the marketing team at Diamond Comic Distributors. She also works as a freelance assistant, I provide services for comic creators such as Patreon & social media management, creative marketing solutions, event assistance, and more, allowing them to focus on their writing and art. – How much would it be worth to you for someone else to do it, if it meant you had more time to do one of the three things you love. Interested in growing and connecting with a large audience on Instagram? Then this session of the ComixLaunch podcast is your blueprint, as Russell Nohelty of Wannabe Press shares his strategies for growing a following of 10,000+ on Instagram in under two years. What is Instagram and why it’s worth using for writers, artists, and self-publishers? 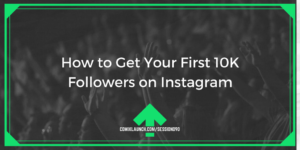 How to get started with Instagram and grow your following with the right kind of people fast. Apps for better Instagram images. Plus: How Instagram can impact a Kickstarter campaign. 1) What is Instagram? How does it work? What’s it for What’s it Not for? 2) How do you use Instagram as a creator and publisher? 3) What specific benefits or results have you seen from using Instagram? 4) What are the biggest mistakes creators (writers, artists, self-publishers) make on Instagram? 5) How should a creator use Instagram in the ramp up to and actual execution of a Kickstarter campaign? 6) If you were coaching a creator who was starting from scratch, just downloading the Instagram app today, and who wants to get to 10K followers in, say, 12 months… what’s would that process look like? Double Your Hashtags on All your Instagram Posts for a Week. April is Audience Building month at ComixLaunch and this session sets the stage. 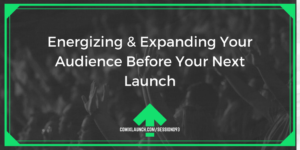 If you’re ready to build a large audience to launch incredible projects to on Kickstarter and beyond, you need to put a solid foundation in place. Tyler gives you that foundation piece by piece in this podcast. 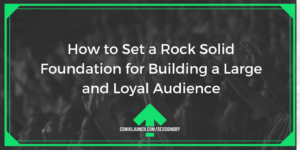 The necessary elements for building a large and loyal audience. Two questions you need to answer before you’ll attract an audience. Why less may be more when it comes to actively building your tribe. Plus: A bonus writing strategy that will help readers connect with your main character in just a few pages. Where are you going to show up week in and week out?